While working as a Massachusetts Realtor over the last twenty eight years one of the questions that always seems to come up is whether or not a Realtor is obligated to disclose a murder, suicide, haunting or other type of paranormal activity that may have occurred in a home or other Real Estate. Wikepedia defines a haunted house as a home or other Real Estate often perceived as being inhabited by disembodied spirits of the deceased who may have been former residents or were familiar with the property. Supernatural activity inside homes is said to be mainly associated with violent or tragic events in the building’s past such as murder, accidental death, or suicide. One of my beliefs is that every buyer should be entitled to know anything that could materially effect the value of a home or the ability to sell in the future. This in fact is one of the articles in the Real Estate code of ethics. In Massachusetts anyways, a Realtor is not required to disclose these kinds of events in a property. Apparently lawmakers do not feel these kind of events are worthy of Real Estate disclosure. I suppose in the case of a haunted home it would be much harder to prove the actual existence of ghosts. Many states require full disclosure of violent crimes such as murder and any other event that may stigmatize a property before it is sold. Not the case in Massachusetts! (c) that the real property has been the site of an alleged para psychological or supernatural phenomenon. No cause of action shall arise or be maintained against a seller or lessor of real property or a real estate broker or salesman, by statute or at common law, for failure to disclose to a buyer or tenant that the real property is or was psychologically impacted. I find it kind of interesting that disclosure of a person who had AIDS was lumped into this kind of stigmatization. It does not seem all that similar of a disclosure issue? While this is the case in Massachusetts you can not assume that in other states it is alright not to disclose known events such as a murder or haunting. Take a look at this in-depth article that discusses in much greater detail whether or not you need to disclose a haunted home, murder, suicide, AIDS or even whether or not a sexual predator has been identified as living in the area. What buyers and sellers need to understand is that the laws in one state can and often are much different than another. If you move around due to relocation it is highly advisable you find out what the laws are in your current state when it comes to these kinds of disclosures as well as others associated with buying and selling. If you are a Massachusetts Realtor another thing to pay careful attention to is purposely deceiving someone. While non disclosure may not be an issue, blatantly lying to someone certainly could be. If you are marketing a home that is well know to be suspected of being haunted and a buyer ask you a direct question about it you should always be truthful of what you know. About the author: The above Real Estate information on disclosing murder, suicide and haunted Massachusetts homes was provided by Bill Gassett, a Nationally recognized leader in his field. Bill can be reached via email at billgassett@remaxexec.com or by phone at 508-435-5356. Bill has helped people move in and out of many Metrowest towns for the last 28+ Years. I service the following towns in Metrowest MA: Hopkinton, Milford, Southboro, Westboro, Ashland, Holliston, Medway, Franklin, Framingham, Grafton, Hopedale, Mendon, Upton, Northbridge, Shrewsbury, Northboro, Bellingham, Uxbridge, Natick, Worcester and Douglas. We have to disclose any latent defects, but a murder/suicide or haunted house would not necessarily fall into this category. However, since it may have an effect on the buyer’s decision, our local board advises us to err on the side of caution and disclose this type of information at some point in the process. Many agents here inform the buyer upon receipt of an offer, after discussing with the seller of course. Thanks for the great post, Bill. Dan thanks for visiting and your comments. Disclosure or non disclosure of haunted homes/murder does create some interesting scenarios. The law of course varies from state to state on what is required. It would be easy for a buyer moving from one state to another to think that the Realtor would be required to disclose such an issue and they may not be requited to. Further if instructed by the seller not to say anything they would be required to follow that wish as they are the seller’s fiduciary. This is one of those issues that can put a Realtor in a real uncomfortable position. Bill in NC, to the best of my knowledge, the key word is if the buyers Ask you must disclose. I contacted several people that wrote these laws in NC and what I gleaned from their info is “yes disclose if ask”. Granted as real estate agents we are not psychic, but what would it hurt to ask the neighbors about any unusual information about the house. You know well as I if the buyers are squimish about such things as suicide or unnatural death they will be blaming the agent for not doing a full disclosure of the property. I would think anything that has happened in the last five years or so would have more concern than a natural death that happened 40 years ago. I even had a young couple to leave a house I was showing because a bird flew in the window. They assumed the house was sitting on an old cemetary. Joy it is funny what bothers some people. Your bird story is a perfect example. I guess birds like cemetery’s? If someone asked me if a home I was marketing that was suspected of being haunted or I knew a murder took place there I would be honest about it. Otherwise unless the seller instructed me to I would no say anything unless asked by a potential buyer. I have a friend who just got her real estate license and I bet that she is one of those that would get that wrong. I would have thought that agents would have to tell the owners if there had been a murder or suicide but not if it was haunted. Like you said how can you really prove something like that? Well now I see her next I’ll know what to tell her. I have a feeling that she will find that very interesting. Anything that would change a buyer’s buying decision should be disclosed as a material fact. I did have a town home listed that had a murder in it and it took many years to sell and we received many low ball offers. We did disclose at first upon showings being scheduled but then after loosing so many showings decided not to disclose at the time of appointment but after the buyer saw the home and reviewed the seller property information report that noted the incident. The seller really wanted someone to come and fall in love with the place and then decide to overlook the incident. Believe me if we did not disclose, that would have been the first thing the new owner would have found out upon meeting the neighbor! We had this discussion many years ago when I was a Realtor in Idaho… because we had a house for sale where a suicide had occurred. There seemed to be no clear answer – We felt it was a material fact, but from what we could understand from Idaho law, we could not disclose it without permission from the owner. Considering that some buyers don’t want to even view a house where a person has died, it seemed like something we HAD to disclose. In our case, the seller finally agreed to disclose. 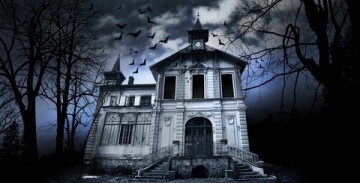 As for haunted houses – they aren’t all haunted because of violence. My son owned a haunted house and we felt that it was just because the former occupant preferred to live there. She did spook a few of his friends, but didn’t do anything more shocking than insist that the bedroom window be open at night. I am a realtor and I agree with the fact that anything that would change the buyers opinion should be disclosed. Even if it makes it harder for us to sell the house, I think this is a matter of professionality. Considering this topic, I wrote about haunted houses as well, if you are interested, you can check it out in my Haunted Houses article. Barb depending on what state you are located in an agent is not required to disclose haunted homes regardless of whether the seller tells them or not. If this kind of thing is important to a buyer they should do their research prior to making an offer. I am sure you could easily find out whether a home is suspected of being haunted just by talking to the neighbors. This is an interesting topic and one that comes up from time to time here on Nantucket. With one of the highest concentrations of pre-Civil War houses in the United States we do have more than our fair share of haunted and “haunted” houses. Thankfully our violent crime rate is low so there are very few properties with recent histories of murders (one I can think of). As an exclusive buyer’s agent it’s my policy to share with my clients all of the information I have about a property and I think I would include violent deaths. I would however draw the line at disclosing “hauntings” unless it was of particular interest to my buyer. Anyway, good article. It’s always good to know the legality of a situation. Do I need to tell new buyers my house is haunted in NC? Hi Debbie – You will need to check the North Carolina regulations on haunted home disclosure. In Massachusetts there is no disclosure requirement. This varies from state to state. A few years ago I received a referral from my dad (someone he worked with and was friends with). I worked with the couple for a few weeks and found a place they loved. Long story short, they had been having several strange incidents at the house from electrical issues to cabinets opening and closing and finally their dogs would sit at the top of the basement stairs and cry refusing to go downstairs to the fenced in yard. Shortly after moving in the couple bumped into the seller at the grocery store and inquired if anything strange had ever happened. His reply was, “Oh, you met the ghost.” The seller also informed them that the home had burned down to the foundation and was rebuilt from the foundation up in 1975. Apparently, a young girl had died in this fire. The owners had confirmed this fact with a visit to the library. Following the grocery store “reveal”, the couple called me and told me that they needed to sell the house. When they told me why, I felt terrible. Not that it was my fault, but that they had endured this stress and now faced the expense and stress of moving again. I listed the home for them and we sold it almost immediately (without disclosure due to CT law). I must say, having been through this, I did have a feeling of guilt, but also relief as did my clients. I’d be interested if anyone else has been through this experience? Wow Christina that is an incredible story. Frankly I have never experienced any kind of paranormal activity my entire life. I would love to visit a haunted house and actually have some kind of “experience.” This certainly is a touchy subject and I can certainly see both sides of it. I am sure those that have experiences a haunting would absolutely feel the Realtor should be obligated to disclose. On the other hand there are plenty that think this kind of thing is a bunch of hog wash.
Misrepresentation, nondisclosure or deception, you make the call! Depends on what side of the fence you are sitting on Thomas. If I was representing a seller in a non-disclosure state I certainly wouldn’t be representing their best interests to be disclosing things that were not required. I agree with much of what you wrote in your website by the way. I think the Real Estate industry is littered full of unprofessional Realtors. The problem is the barriers to entry are far to easy. Take a test and wham you are now a Realtor. By the way Real Estate is an industry where the 80/20 rule does not apply. It is actually much higher – 93% of the business is done by 7% of the Realtors. When in doubt, DISCLOSE. I would rather lose a deal than potentially lose my license. It’s not worth it. In California, real estate agents and sellers are required to disclose “material facts,” about a property (affecting value and desirability) based on what the seller and agent knew about a property, or should have known. There are no facts anywhere that will substantiate the existence of ghosts, aliens, Bigfoot and more. I can also think of no legal criteria that could make a case against a seller or an agent based on the presence of a ghost on a property as something the seller of the agent “should have known.” As an agent I wouldn’t disclose anything along this line. The reason is simple. In law, the burden of proof rests upon the accuser. I defy anyone to prove that a house was haunted and the seller knew it, or that a seller or an agent should have known a property was haunted. I agree that whether your state has a disclosure law or not, sellers should always disclose any pertinent information that could have an impact on the value of the home, including a death that has occurred at the property. On May 31, 2013, http://www.DiedinHouse.com launched to help answering the question, “Has someone died in your house?” Using a valid U.S. address, Died in House ™ instantly searches millions of records to determine if a death has occurred at that location. Please follow them on Facebook, Twitter, Google+, Youtube and Linkedin. Very interesting and excellent discussion. I came upon this post looking for information exactly about this. I’ve noticed that at least two states (after a very cursory look) have fairly recent laws about this that included HIV/AIDS as a factor. I wonder if this is because HIV/AIDS has become a factor, owing to ignorance among the general populous about how the virus is transmitted, and if these newer regulations emerged to address that issue, and took ghosts and paranormal events along with them. I spent the good part of a summer (well, winter, it was in the southern hemisphere) living in what some regard as the most haunted building on the planet, or one of them. It was at one time a convent that was converted to an infirmary during the siege of the city during the Anglo Boer war, so many of the people that died during that long siege died in its rooms, especially in the rooms now used as the guest quarters (where we stayed). Soon after my crew and I arrived we learned that the previous guests had left early and rather upset about all the ghosts. Thank you for your site. It is very informative and I will bookmark it for future reference.